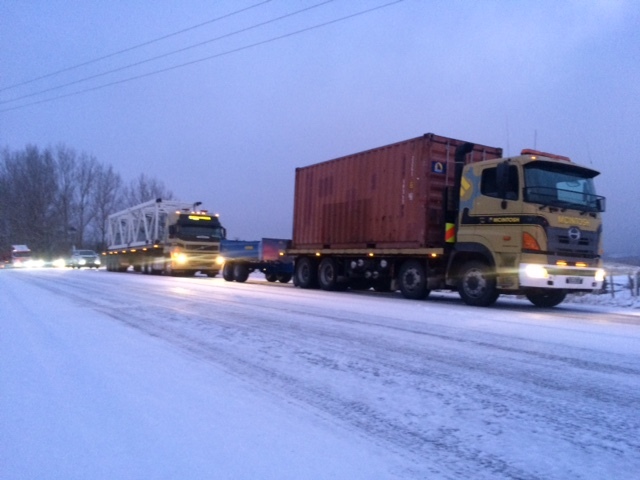 McIntosh Cranes have a range of flat decks for freight transportation. 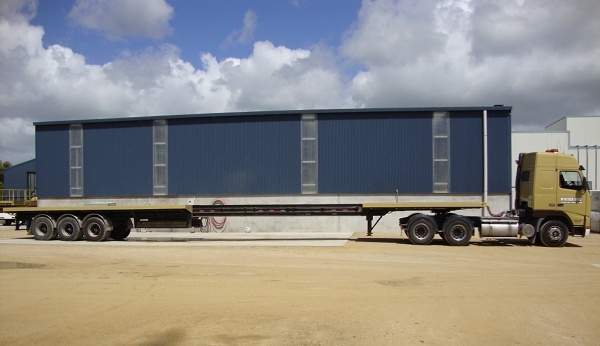 Ranging from truck and trailers, trombone semi trailers and a panel trailer. 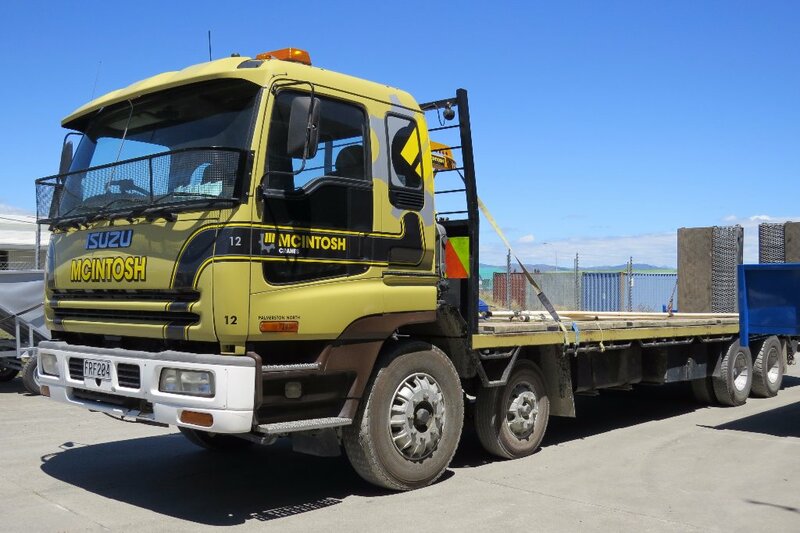 McIntosh truck and trailer units can be hired 24/7, subject to availability. 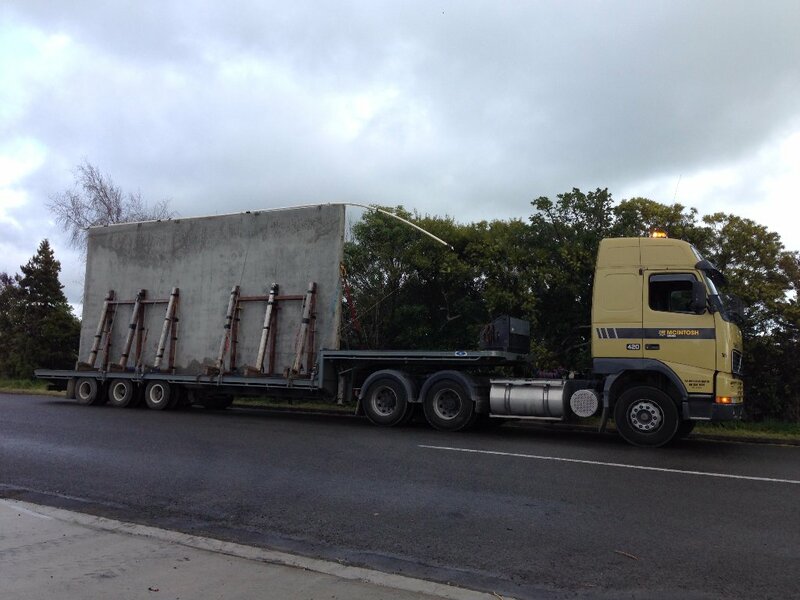 Our units are dispatched subject to the dimensions, weight of load, and distance it is to travel. 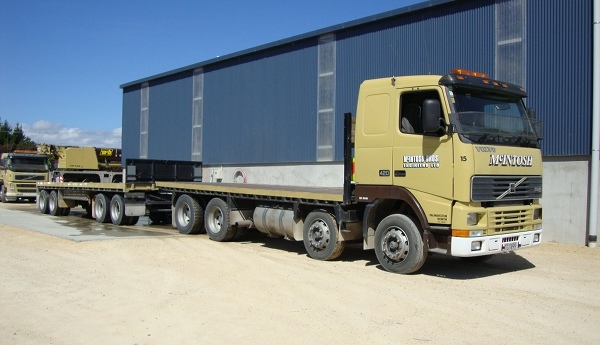 McIntosh truck and trailer units are supplied with drivers which are included in the hourly hire rate. 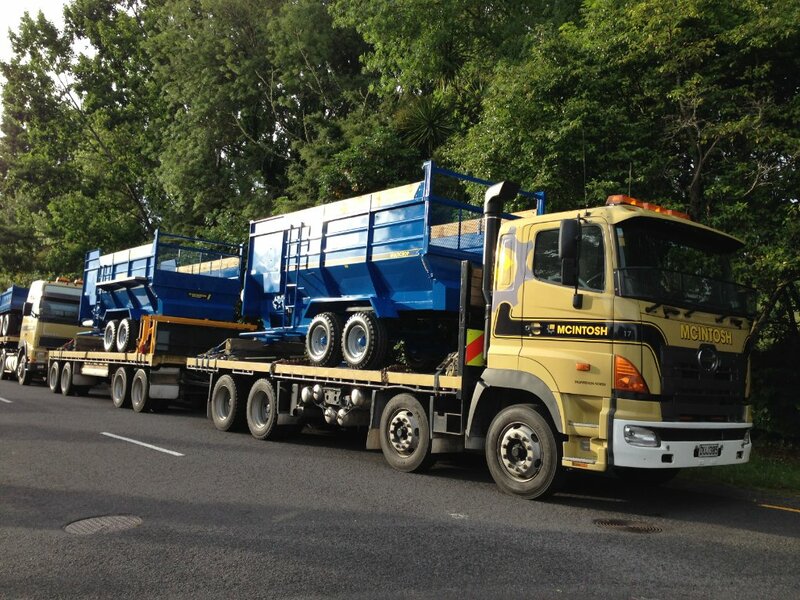 While on site our drivers all follow OSH and site safe policies, and they will operate the vehicle for the duration of your hire.